We will depart London after work on Friday evening. If you need a car share option for this weekend, we can organise this for those who need it, details of this option will be announced nearer the time (please indicate this as a requirement when booking your ticket). You are welcome to make your own way to the accommodation and the starting points, if you prefer. Our accommodation is YHA South Downs, where I have booked a number of female, male and mixed bedrooms. 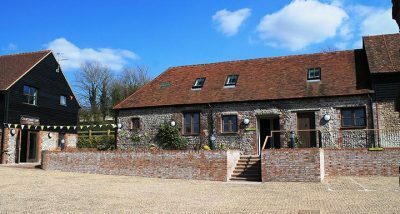 It was opened officially by HRH the Queen in 2013 – YHA South Downs is a uniquely refurbished Sussex farmhouse in an enviable location right on the South Downs Way – perfect for anyone wanting to walk in the rolling Sussex countryside, the hostel is surrounded by the hills of the South Downs National Park, and enjoys substantial grounds of its own. The hostel is ideally located for our planned hikes with all bed linen provided (just bring towel and toiletries). There is a well-equipped self-catering Kitchen (c/w fridges, freezer, oven, kettles, toasters, microwave, cutlery & crockery), a Dining area, Lounge, Drying room Showers and Toilets. 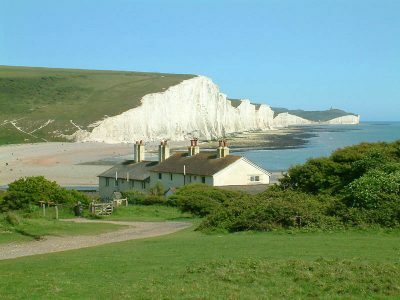 On Saturday our walk is a based around the classic Seven Sisters and South Down Path and Coastal Walks. From our accommodation, it is a 20 minute drive to the coast at Birlington Gap where the walk starts where our circular hike will start and finish. We then head west along the spectacular Seven Sisters and then via Cuckmere Haven and Exceat and up into the beautiful village of Alfriston From here we track back south to connect onto the South Down Way – we will then walk back towards the coast and back to the vehicles at the car park. The 15 mile (24km) route will see us mix the beautiful coastal walk with the stunning countryside in the South Down National Park. We then return to our accommodation for showers before heading to a local pub or eatery for our evening meal (which is optional, self-catering is also available for those who choose this option). On Sunday we will drive 60 minutes to Box Hill where our 7 mile (12km) walk starts in the National Trust car park and the walk takes us around the Surrey Hills Area of Outstanding Natural Beauty. 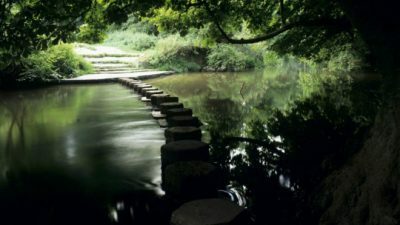 Our route provides extensive views along the Riverside Walk, Stepping Stones, Happy Valley walks. We should be back at the vehicles in the car park by 3pm and so you can expect to be back in London by about 4pm.